The school year is flying by, and here are some photos from a few of our Cru campuses ... snapshots of students as they are part of Cru in our area. 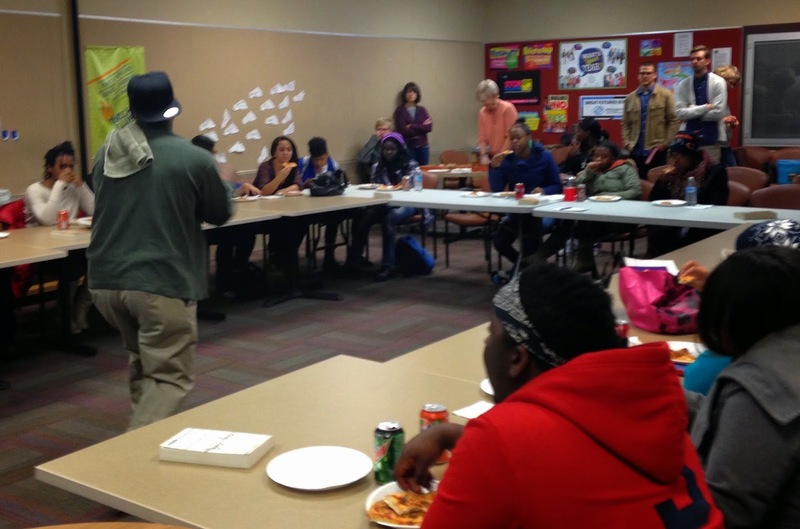 Accelere Alternative in Omaha ... students gather each week over their Friday lunch hour. 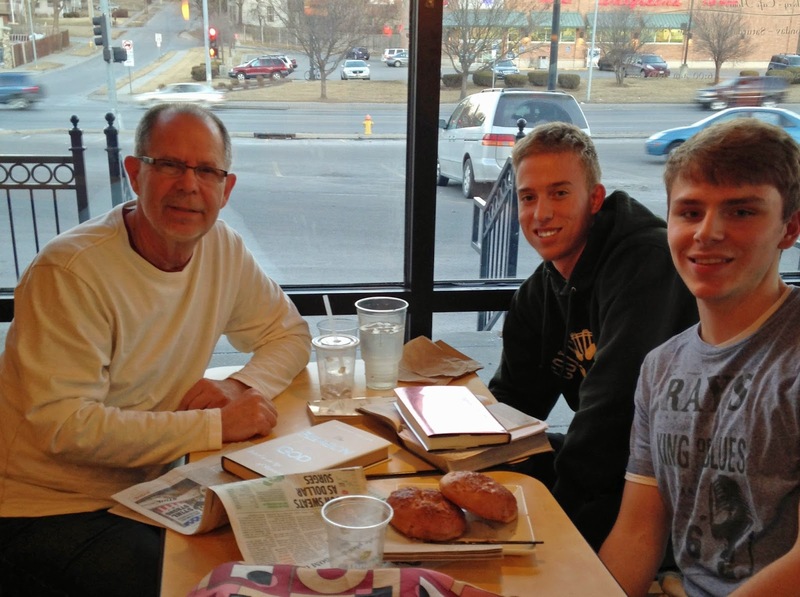 In this photo Ron, one of our Cru volunteers, shares the Gospel with the students. Bellevue East in Bellevue ... still in the beginning stages, Cru volunteers are gathering students together in their home while seeking permission to meet on campus. Central High in Omaha - besides their weekly student gathering on Monday evenings at their high school, other gatherings occur as well. Here Gary meets with two students to connect and build into each other's lives. 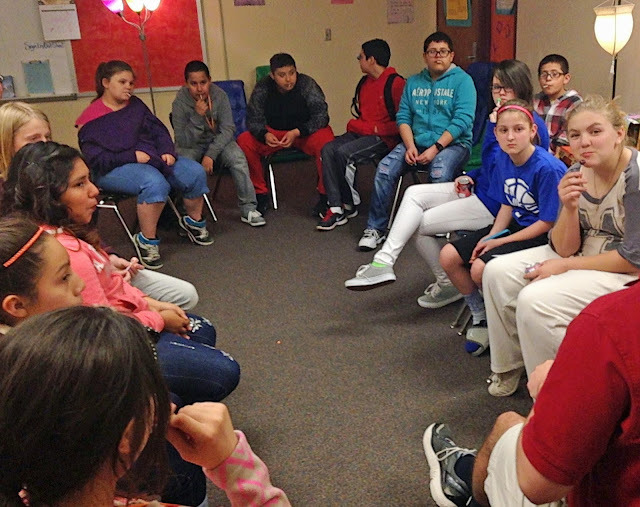 Marrs Middle in Omaha - two of our new volunteers, a teacher at Marrs together with a UNO student volunteer, have started up student meetings this spring at this multi-racial middle school. 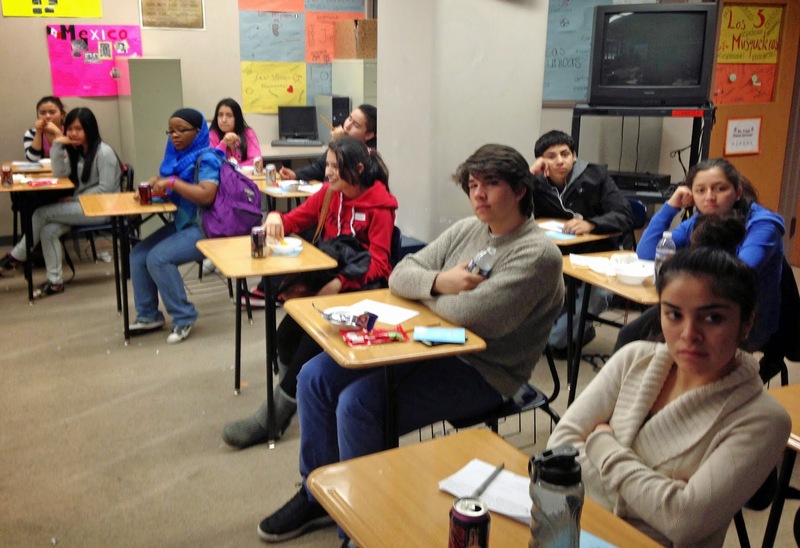 South High in Omaha - students gather each Monday after school to learn and grow in their walk with God. The two students in front are key student leaders. Please pray for these students, and the students in our other Cru campuses in the Omaha area.